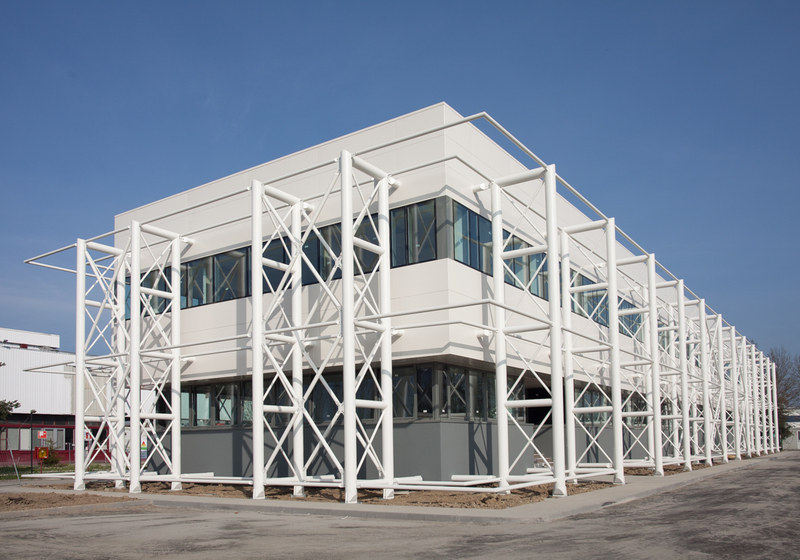 Compliance with the anti-seismic regulations issued by the Emilia Romagna Region and environmental sustainability: these are the main features of the new office building of the Magneti Marelli plant in Crevalcore, inaugurated on Thursday 27 March, after six months only of reconstruction works. Magneti Marelli is among the first companies to complete the reconstruction of the facilities in the area hit by the earthquake that in 2012 irreparably damaged the building used as offices as well as company canteen, dressing rooms and data processing centre. The new building is environmentally-friendly since the improvements made include a new energy class that is more efficient compared to the previous one. This was achieved thanks to the use of innovative materials and LED internal lighting. The Magneti Marelli industrial plant located in Crevalcore, dedicated to the production of powertrain components for the automotive market, takes up a surface area of 30,000 square meters. Inaugurated in 1973 for the production of carburettors, the plant currently produces air manifolds and throttled bodies in addition to components for the Magneti Marelli’s AMT (Automated Manual Transmission).